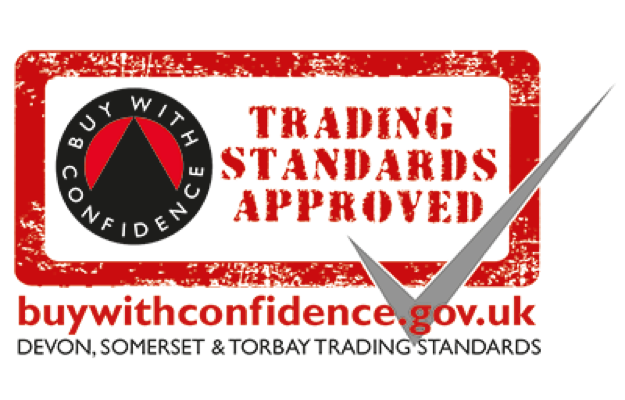 MBS is proud to be a member of the ‘Buy with Confidence’ Scheme under the Devon, Somerset and Torbay Trading Standards Service. The concept for BWC was first implemented in 1999, created in Devon as a scheme to help reputable, local trade businesses gain the notice they deserve while protecting customers from less honest dealers. As of 2018, over 50 local authorities across the UK have helped to approve its use, as it is the only Trading Standards approved scheme in the country. BWC helps customers by subjecting businesses to background checks and legal compliance to provide reassurance to vulnerable clients, ensuring that those who join with the scheme operate their company in a legal, honest and fair way. Additionally, they are expected to give customers a friendly and open service while responding to complaints in a constructive manner, allowing for a comfortable and streamlined experience for all clients. To qualify to be a part of BWC, each business is put through rigorous personal checks by the Devon, Somerset and Torbay Trading Standards, as they personally ensure that said business is following the law and have a customer service record that is up to standard. It is because of this that we are proud to have obtained a partnership with this scheme, as it fully reflects our commitment to reliable customer service and dependable work.